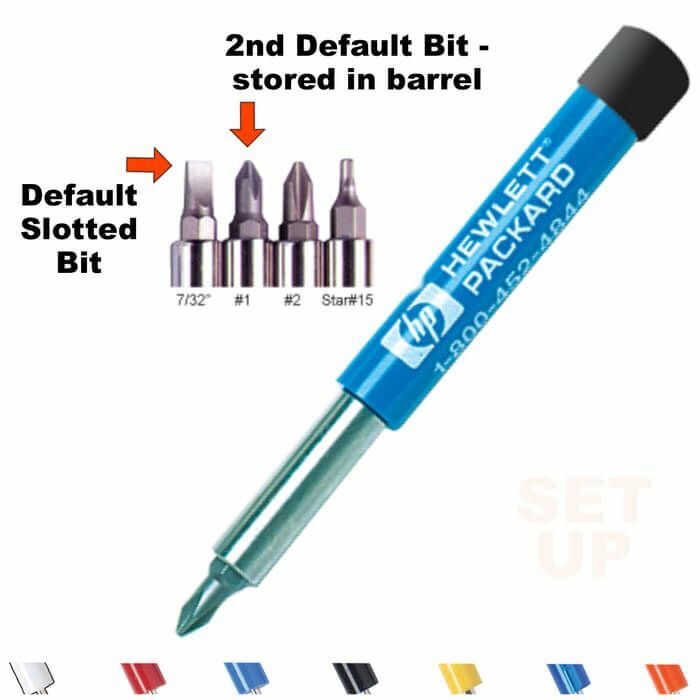 Comes with 2 default bits: 7/32" slotted bit and 1 #1 Phillips bit stored in barrel. Please specify the bits you want in the "Your Text Message & Other Instructions" box above. Add 3rd bit for $0.30 each. 3rd bit will also be stored in barrel. Product Size Approx. 5 1/8" X 5/8"
Imprint Area 1.75" X 1"
Production Time 5 business days after art approval! Express shipping options available at check out.